Saman Mohammdi cites Frye to characterize the rhetorical abuse of language in current political discourse. The entire article is here. Myth loses its ideological function except for what is taken over and adapted by logos . 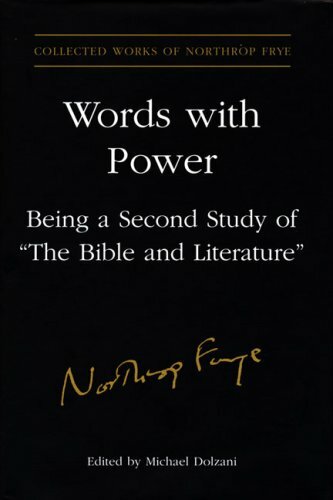 Myths that are no longer believed, no longer connected with cult or ritual, become purely literary; myths that retain a special status in society are translated into logos language, and are taught and learned in that form. (2). The neoconservatives and other cliques who work for Washington’s hidden establishment have exploited the power of myth and the dark power of words to pursue criminal goals both inside America and in the Middle East. But all this is well known by political spin doctors and directors of political campaigns. Barack Obama would never have been elected President if he did not cunningly exploit the power of rhetoric and repeat universal words like “hope” and “change” to hypnotize voters and get them to think positively about him. He is slick, but not wise. A wise man would never have chosen to be the spokesperson for America’s plutocratic elite and carry out their criminal agenda. When the rhetorical occasion narrows down from the historical to the immediate, as at rallies and pep talks, we begin to see features in rhetoric that account for the suspicion, even contempt, with which it was regarded so often by Plato and Aristotle. Let us take a rhetorical situation at its worst. In intensive rhetoric with a short-term aim, there is a deliberate attempt to put the watchdog of consciousness to sleep, and the steady battering of consciousness becomes hypnotic, as the metaphor of “swaying” an audience suggests. A repetition of cliché phrases is designed to bring about a form of dissociation. The dead end of all this is the semi-autonomous monster called the mob, of which the speaker is now the shrieking head. For a mob the kind of independent judgement appealed by dialectic is an act of open defiance, and is normally treated as such. (3). Obama’s mob, like Bush’s mob, and Palin-McCain’s mob, have no idea who or what they are supporting because they want to cheer on their leaders instead of ask serious questions about their background, philosophy, and political programs. They are totally identified with them. When someone points out to them that they have been betrayed by the entire political establishment, republican and democrat alike, they half-agree, calling the other side evil, and continue to worship their chosen leader. They view anybody who questions the word or morality of their leader as a threat to their existence. Rather than engage in a debate with people who have a different opinion they resort to all sorts of childish tactics like calling them a “conspiracy theorist,” an “extremist,” and even a “traitor” without any evidence to support their statements. They don’t have any idea what these words were designed for but they repeat them anyway to silence critics and shut down debate. This entry was posted in Bob Denham, Quote of the Day, Words with Power on May 28, 2011 by Bob Denham. And my beloved is light and fleet. They are so awfully full of feet. This entry was posted in Bob Denham, Unpublished, Victoria College on May 25, 2011 by Bob Denham. This entry was posted in Bob Denham, Quote of the Day on May 20, 2011 by Bob Denham. This entry was posted in Bob Denham, Democracy, Quote of the Day on May 5, 2011 by Bob Denham. This entry was posted in Anatomy of Criticism, Bob Denham, Quote of the Day on March 8, 2011 by Bob Denham. 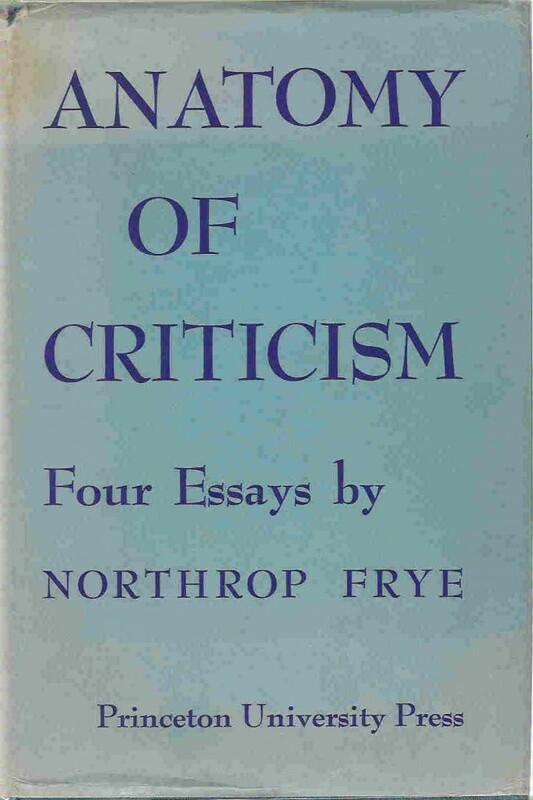 A few of us are going to be blogging about Northrop Frye’s Anatomy of Criticism (1957). We are each going to take it in turns to write a position paper on a particular section of the book and then post it and discuss it over at Maureen Kincaid Speller’s blog Paper Knife. The first essay is due to go up on the seventh of March. I’ll link to it when it goes up but if you are looking for an excuse to read through a classic work of literary criticism and discuss it, then this is your chance. This entry was posted in Anatomy of Criticism, Blogroll, Bob Denham, News on February 26, 2011 by Bob Denham. “. . . But to return to the summer of 1968: That August, I was in Sligo, Ireland, a student at the Yeats International Summer School. 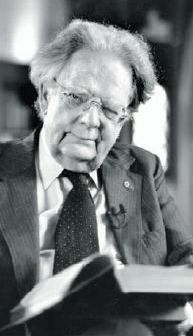 Along with my enthusiasm for Yeats, I bore greetings from one great scholar of Romanticism to another: from one of my current teachers, David Erdman, author of Blake: Prophet Against Empire, to the keynote lecturer at that year’s Yeats gathering, Northrop Frye, at the time the most celebrated literary critic in the world, and the author of an equally formidable study of Blake, Fearful Symmetry. After Frye delivered his magisterial lecture on the imagery of Yeats, entitled “The Top of the Tower,” I was one of those who flocked to the podium. But I stayed at the periphery, too shy to approach the great man. Later that evening, when Frye, followed by a small entourage, entered the dining room of the Imperial Hotel, he noticed me at a table and walked over. This entry was posted in Bob Denham, Memoir on February 24, 2011 by Bob Denham. Bruno makes appearances throughout Frye’s work, beginning with his students essays in the 1930s. His most extensive commentary on Bruno is in “Cycle and Apocalypse in Finnegans Wake.” Here’s a selection from that essay. As literary masters, the Italians predominate in Joyce over all other non-English influences. Joyce’s great debt to Dante, at every stage of his career, has been fully documented in a book-length study, and he owed much to other Italian writers, including Gabriele D’Annunzio, who cannot be considered here. But Finnegans Wake is dominated by two Italians not previously represented to any extent in English literature. One is Giambattista Vico, whom Joyce did much to make a major influence in our intellectual traditions ever since. The other is Giordano Bruno of Nola, in whom no previous writer in English except Coleridge seems to have been much interested, although he lived in England for a time and dedicated his two best-known books to Sir Philip Sidney. 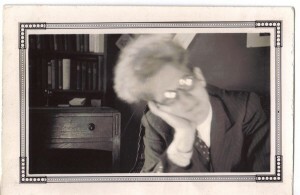 During the years when Joyce was working on Finnegans Wake, publishing fragments of it from time to time under the heading of Work in Progress, a group of his disciples brought out a volume of essays with the eminently off-putting title of Our Exagmination Round His Factification for Incamination of Work in Progress. The first of these essays, by the disciple whose name is by far the best known today, Samuel Beckett, was on Joyce’s debt to Italian writers, more especially Vico. Despite Beckett’s expertise in Italian—all his major work reflects a masterly command of Dante—the essay is very inconclusive, mainly, I imagine, because the entire structure of Finnegans Wake was not yet visible, and the essays were designed to point to something about to emerge and not to expound on something already there. However, since then every commentary has been largely based on Joyce’s use of Vico’s cyclical conception of history. 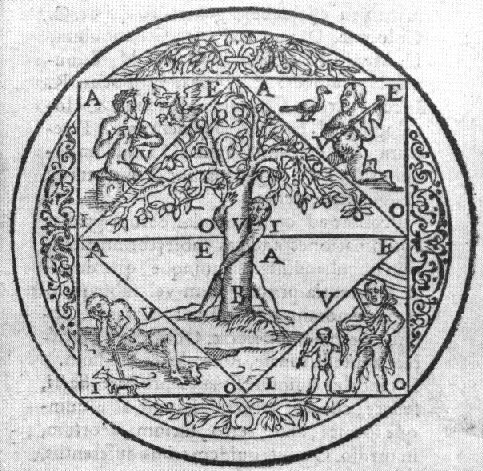 Vico thinks of history as the repetition of a cycle that passes through four main phases: a mythical or poetic period, an age of the gods; then an aristocratic period dominated by heroes and heraldic crests; then a demotic period; and finally a ricorso, or return to chaos followed by the beginning of another cycle. Vico traces these four periods through the Classical age to the fall of the Roman Empire, and speaks of a new cycle beginning in the medieval period. 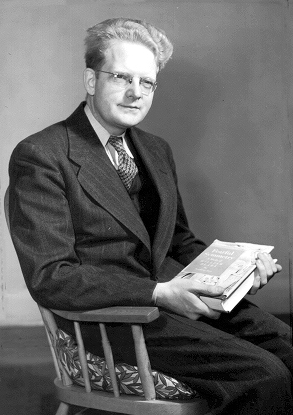 In the twentieth century Spengler worked out a similar vision of history, although he uses the metaphor of organisms rather than cycles. 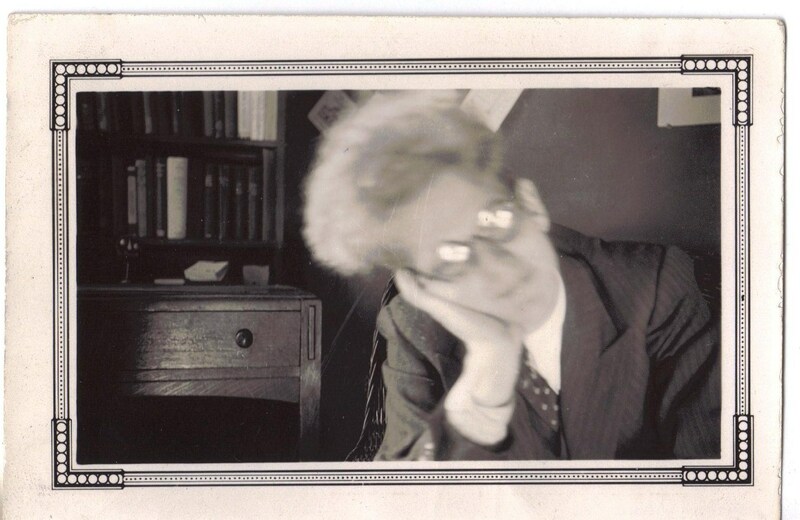 Spengler influenced Yeats to some degree, but not Joyce. The first section of Finnegans Wake, covering the first eight chapters, deals with the mythical or poetic period of legend and myths of gods; the second section, in four chapters, with the aristocratic phase; the third, also in four chapters, with the demotic phase; and the final or seventeenth chapter with the ricorso. The book ends in the middle of a sentence which is completed by the opening words of the first page, thus dramatizing the cycle as vividly as words can well do. In contrast, there seems relatively little concrete documentation for the influence of Bruno of Nola, and one of the most useful commentaries, which has Vico all over the place, does not even list Bruno in the index. Yet Bruno was an early influence, coming to Joyce’s attention before his growing trouble with his eyesight forced him to become increasingly dependent on the help of others for his reading. In his early pamphlet, “The Day of the Rabblement,” he alludes to Bruno as “the Nolan,” clearly with some pleasure in concealing the name of a dangerous heretic under a common Irish one. What the Nolan said, according to Joyce, was that no one can be a lover of the true and good without abhorring the multitude, which suggests that the immature Joyce, looking for security in a world where his genius was not yet recognized, found some reassurance in Bruno’s habitual arrogance of tone. Bruno’s “heresy,” evidently, seemed to Joyce less an attack on or repudiation of Catholic doctrines than the isolating of himself from the church through a justified spiritual pride—the same heresy he ascribes to Stephen in the Portrait. As far as Bruno’s ideas were concerned, Joyce was less interested in the plurality of worlds, which so horrified Bruno’s contemporaries, and concentrates on a principle largely derived by Bruno from Nicholas of Cusa, who was not only orthodox but a cardinal, the principle of polarity. Joyce tells Harriet Shaw Weaver in a letter that Bruno’s philosophy “is a kind of dualism—every power in nature must evolve an opposite in order to realize itself and opposition brings reunion.” Most writers would be more likely to speak of Hegel in such a connection, but that is not the kind of source one looks for in Joyce. In the compulsory period of his education Joyce acquired some knowledge of the Aristotelian philosophical tradition, and learned very early the numbing effect of an allusion to St. Thomas Aquinas. But there is little evidence that the mature Joyce read technical philosophy with any patience or persistence—not even Heraclitus, who could have given him most of what he needed of the philosophy of polarity in a couple of aphorisms. 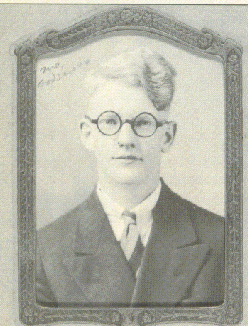 In a later letter to Harriet Weaver, Joyce says, referring to both Vico and Bruno: “I would not pay overmuch attention to these theories, beyond using them for all they are worth.” That is, cyclical theories of history and philosophies of polarity were not doctrines he wished to expound, the language of Finnegans Wake being clearly useless for expounding anything, but structural principles for the book. This entry was posted in Archetype, Bob Denham on February 18, 2011 by Bob Denham. Lynn Beavis, the director of the Richmond Art Gallery, cites Frye’s “Academy Without Walls” in a recent column in the Richmond News. 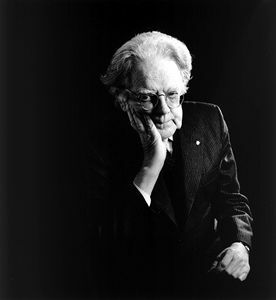 On my office wall I keep a quote from the great literary theorist Northrop Frye. It reads in part: “…the arts have something to teach beyond themselves, a way of seeing and hearing that nothing else can give, a way of living in society in which the imagination takes its proper central place. I always return to this quote when I feel dispirited about the work I do, as it reminds me of the broader principle and the experiential wealth I have inherited through my exposure to the arts. 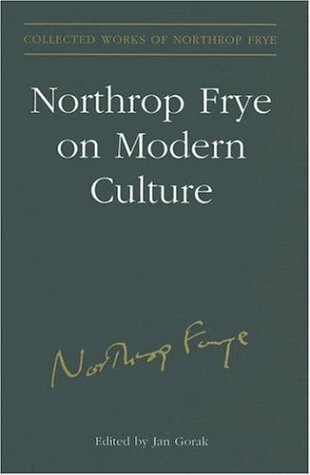 Arts, culture and heritage are often viewed in terms of the “nice to have, but not essential” category, particularly when it comes to the matter of funding, but as Frye reminds us, the arts have a much more significant and intrinsic meaning that is often overlooked in the bottom-line mentality. Because the arts engage us on both an emotion and intellectual level, we learn more about ourselves — our motivations, prejudices, assumptions — and through the self-examination it provokes, we learn to take a new view on the world. This entry was posted in Bob Denham, Frye Alert on February 10, 2011 by Bob Denham.